Beauty Tips of the Day allows users to understand the relevance of beauty and the tips on how to achieve the best possible looks for you. 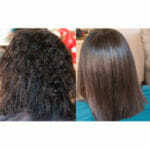 If you live in an area where there is hard water, chances are you’ve noticed that your hair isn’t in the best of shape. Ask Michael at MJ Hair Designs about the MALIBU BUILD UP TREATMENTS. This is because minerals such as rust and chlorine build up in your hair, leaving it feeling dry, coarse and dirty. This excess buildup can also cause blondes to take on a brassy hue in their tresses. 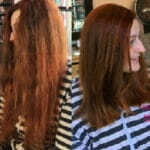 A good way to remove this buildup and start with a clean slate is by getting a Malibu hair treatment. 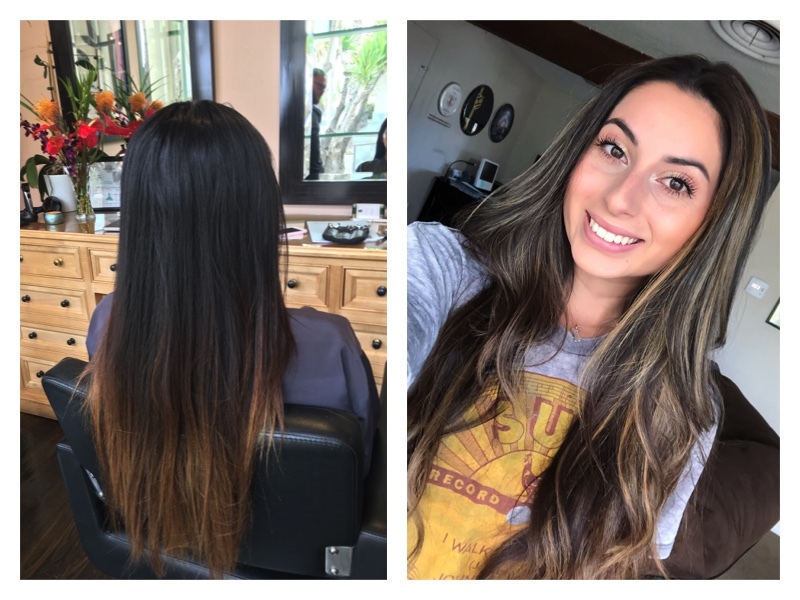 MALIBU BUILD UP TREATMENTS are my go to! MALIBU BUILD UP TREATMENTS are usually done at the salon, although there are also at-home products like Malibu shampoos, conditioners and hair treatments. 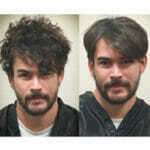 The best way to get the most effective Malibu treatment, though, is by visiting a Michael at MJ Hair Designs. A packet of Malibu hair treatment consists of granules often referred to as a “crystal gel.” These granules are mixed with water and rubbed into the hair. 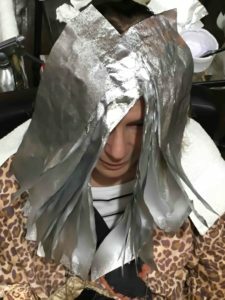 Stylists usually allow the treatments to process under a hair dryer for at least 40 minutes. 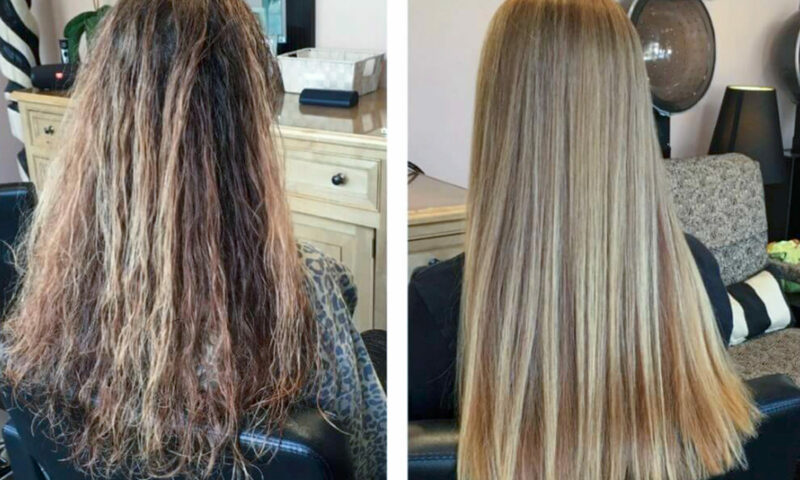 Make sure that you have at least an hour to spare before getting the MALIBU BUILD UP TREATMENTS , depending on the length and thickness of your hair, processing time can vary. A Malibu treatment typically will remove excess buildup in your hair caused from hard water, calcium from swimming pools and water softeners. Hard water often contains chlorine and iron, which is what makes lighter hair take on a coppery or brassy hue. If you are a swimmer or use the pool frequently, chlorine and copper can build up in your hair, also causing damage. Copper is what causes light hair to take on a greenish cast. MALIBU BUILD UP TREATMENTS will effectively remove this buildup. 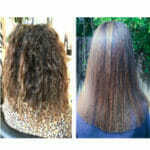 MALIBU BUILD UP TREATMENTS are also great for prepping hair for color, perms and relaxers. Think of each strand of hair as a small hallway. The more people you shove into the hallway, the less room there will be, and eventually, you will run out of space. When there is buildup in the hair, minerals and impurities absorb into the strands, saturating them. Therefore, when hair color or perms are applied to the hair, there just isn’t any room for the chemicals to absorb into it. 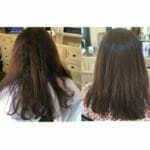 MALIBU BUILD UP REMOVING TREATMENTS will often be applied right before professional hair coloring, perming or relaxing. Because it removes buildup, it will make room for these processes. 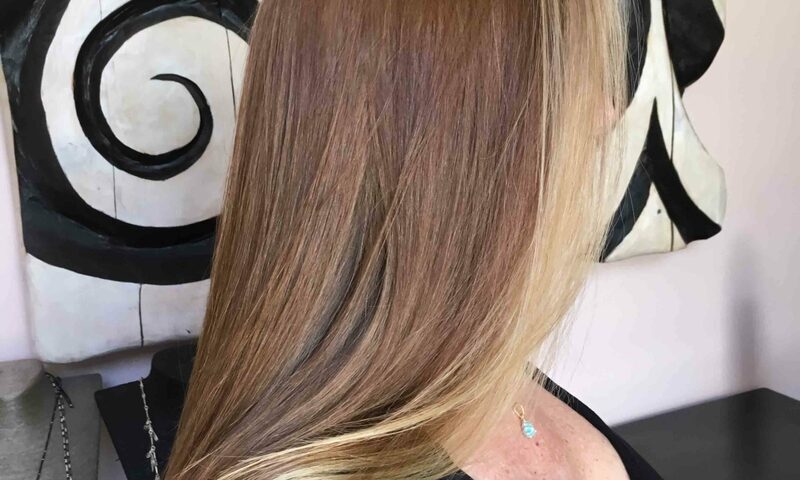 Michael at MJ Hair Designs typically recommends that you get a professional Malibu treatment every nine weeks or so, especially if you have color-treated hair. If you are using at-home Malibu treatments, follow the directions on the packaging. Oftentimes, Malibu clarifying shampoos and conditioners can be used weekly. Other clarifying shampoos like Neutrogena Clean Volume, Clairol Herbal Essences Clarifying and Avalon Organics Lemon Clarifying shampoos will all work great. Some of the store-bought clarifying shampoos can be used on a daily basis. 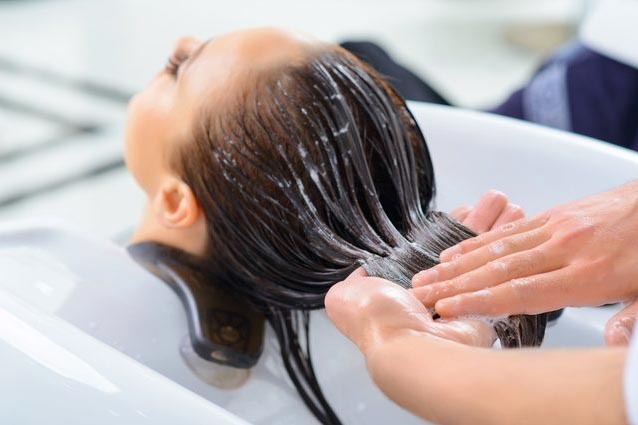 Knowing that consumers have become savvy to the dangers of chemicals in hair dye, manufacturers have gone all-out in their attempts to green wash their products. Don’t be fooled! Just because the name of a product may sound ‘green and clean’ doesn’t mean it is. Some of the worst offenders? L’Oreal Natural Match(the ‘natural’ refers to your original hair color, but could easily be misinterpreted); Garnier HerbaShine (yes, it contains bamboo and has no ammonia, but is not without high levels of peroxide without buffers. Clairol Natural Instincts(again, ammonia free, but packed with other harmful chemicals. However, it should be noted that permanent dark colors would almost always have some PPDs. In America, the legal maximum is 2%; brands that really try hard to be natural (such as those below) could contain as little as .06%. It’s up to you to decide whether or not to use permanent dyes, but keep this in mind: pregnant women are strongly advised not to color their hair, and the Environmental Working Group found that 69% of hair-dye products they tested for their Deep database may pose cancer risks. A 1994 National Cancer Institute reportstates dark dyes used over long periods of time seem to increase the risk of cancers such as lymphoma and multiple myeloma. Despite all the potential dangers, in America, the FDA doesn’t regulate hair dye ingredients (synthetic or natural) at all. You should be aware that all permanent colors will always use some chemicals; choosing the one that is the least damaging and most natural really is a case of using the best information you have to do so. But never fear – I’ve done the research and selected best and most natural hair color around. My favorite with top models and celebrities, this Australian brand was one of the first to produce professional grade ammonia and non at all, resorcinol and PPD free permanent hair color making it gentle on hair, scalp and hands. In fact, they call their formula CCT™–Clean Color Technology. This delivers clean, lustrous blondes, bright fashion shades and lasting, vibrant colors while completely and gently covering grey. Recently I corrected a clients color that went home with what she absolutely loved. Color Correction is one of a hair colorists biggest nightmares, but a dream for me when you run out of new hair color challenges. I immediately got to work and used the Pravana Hair Color Extractor. Needless to say, I love my job and nailed it. What a wonderful life! 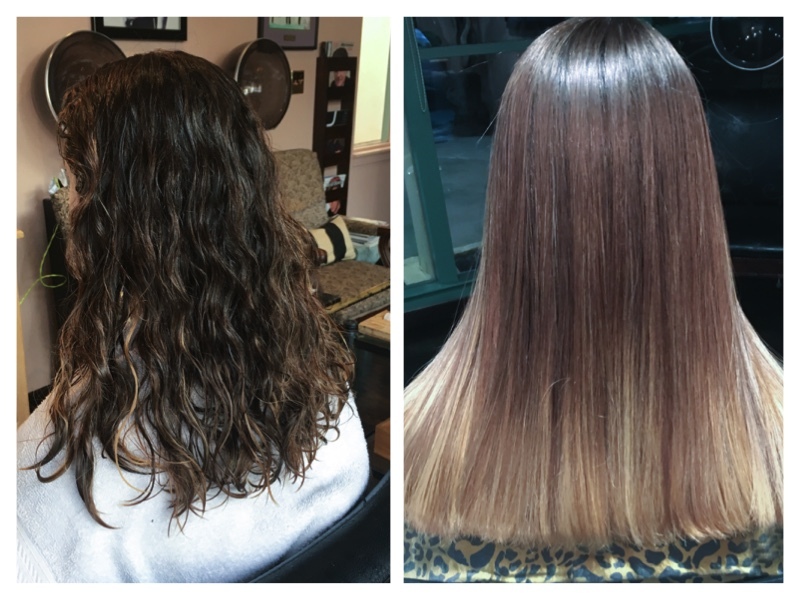 When the client’s artificial hair color is too dark, or when you want to simply remove virtually any artificial hair color, the fastest and easiest corrective coloring can be accomplished by using Pravana’s Artificial Hair Color Extractor. As a result of this rather unique product, it will not lighten or degrade virgin hair color. Therefore, previously pre-lightened or highlightened hair has absolutely no damaging effects on the hair! Extracts only artificial oxidation-type hair color without affecting natural hair pigmentation. Leaves hair conditioned and softly textured. Easy to mix, apply and process. Does not contain ammonia, bleach, or formaldehyde. Pravana Artificial Color Extractor is my go to color extractor. Following years of research and in-salon testing, CØR.color represents a huge leap forward in the hair industry says Los Angeles Hair Color Specialist Michael at MJ Hair Designs. With the introduction of our new, exclusive Molecular Blend Technology (MBT), this revolutionary coloring system pre-links pigments, allowing them to develop more effectively, giving super grey coverage, while minimizing the risk of scalp irritation. 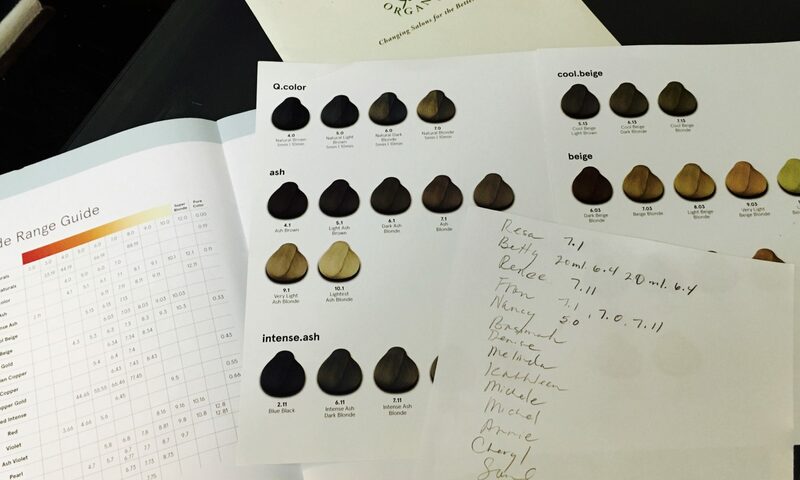 As one of the first hair color companies in the world to produce professional ammonia-free hair color, O&M is serious about low-chemical solutions for today’s conscious clients and committed Los Angeles Color Specialists says Michael of MJ Hair Designs. 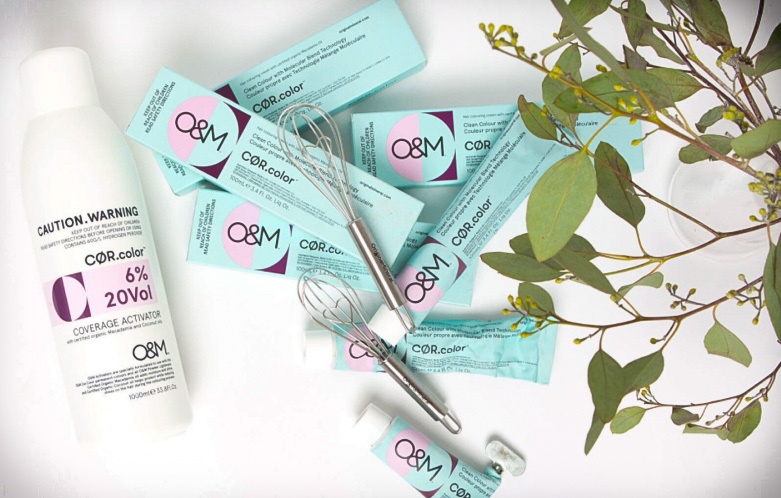 Los Angeles Hair Color Specialist MJ Hair Designs says CØR.color is both an answer to an industry-wide problem of increasing chemical sensitivity and a compelling story where consumers are constantly looking for more natural, high performance products. 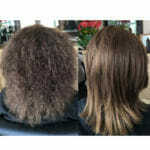 CLEAN COLOR TECHNOLOGY is a revolutionary hair color system that clears the myths surrounding ammonia free hair color. The CLEAN COLOR TECHNOLOGY delivers clean, lustrous blondes and bright fashion shades. As a technical innovator, the Original Mineral has chemists formulating to remove harsh chemicals wherever possible. CLEAN COLOR TECHNOLOGY includes natural extracts and active minerals and will deliver real benefits. CLEAN COLOR TECHNOLOGY reduces their chemical dependence. Original Mineral’s breakthrough formulas will put less stress on hair whilst ultimately improving the hair’s condition. CLEAN COLOR TECHNOLOGY understands that the number one priority of any colorist is to deliver professional results to their valued clients time after time. All O&M products are developed with CLEAN COLOR TECHNOLOGY. 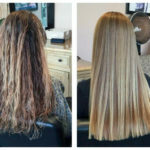 CLEAN COLOR TECHNOLOGY has the critical input of practicing hairdressers. They understand that to be truly effective, their formulas have to deliver in the real world. O&M is rigorously salon tested. Paraphenylenediamine is a chemical substance and is widely and traditionally used as a permanent hair dye. People who are highly allergic to PPD have not been able to dye their hair with traditional hair color. In severe allergy cases the eyelids may completely close and can result in contact urticarial and anaphylaxis. Is a coloring agent and commonly found in topical acne treatments. A chemical used in color to swell the hair cuticle for absorption. Allergic to exposure and suffering itchy scalps and watery/red eyes. Have you ever wondered how some colors just look so seamless you can’t figure out where it begins and where it ends on the hair? Well, a technique I use when coloring hair is called crocheting, or crochet hair coloring. I used the technique on this model to create a big splash of color. Crochet hair coloring is melting two or more strand of hair into one starting with one color at the roots, one in the middle of the shaft and one at the ends. For those who are looking for more of a daring color system without the bleed marks, this is one of the best ways to color your hair. Crochet hair coloring is all about working with the natural flow of color, the shape of ones head and a persons features. I like crochet hair coloring because it takes into mind all of the things hair colorists take for granted when coloring hair. 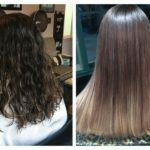 Most hair colorists are looking to create great looks but don’t always use techniques that achieve the natural flow of hair. This is one technique you can count on when considering the head being round, the face being square and the hair being fluid. So, come in and see me for either a complimentary consultation or just book an appointment with confidence that you WILL look beautiful when you leave the salon.